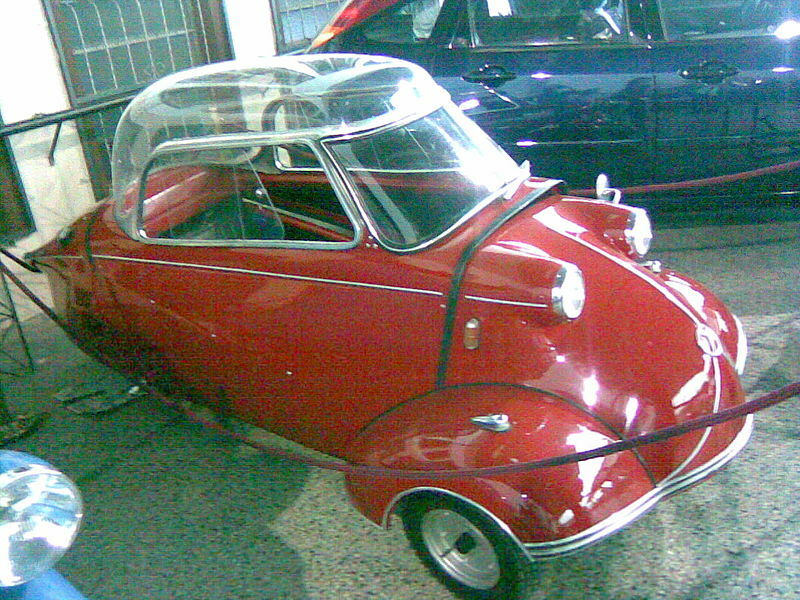 The Messerschmitt KR175 looks like a hybrid - a cross between a scooter and a car. 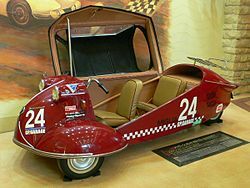 15, 000 of these very distinctive three-wheeled bubble cars were built between 1953 and 1956, when it was replaced by the KR200. 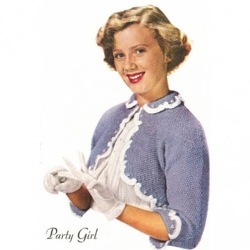 Owing to the fall-out from WW2, Messerschmitt, the famous German aircraft manufacturer, was unable to manufacturer aircraft during this period, allowing for an opening into alternative ventures. The car was made under agreement with aeronautical engineer and former Messerschmitt employee, Fritz Fend, who had designed the Fend Flitzer invalid car in 1948- a cheap, easy to maintain microcar for people with disabilities. However the KR175 proved popular with able-bodied customers and was evidently "a good city commuter"(wiki), despite the fact that there there were a few initial problems, resulting in some 70 odd modifications during it's production run. 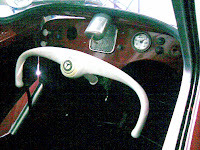 Salient features of the car included a bubble top which was also the door, single seating and a handlebar steering wheel. Although it looks great and was presumably, economical, I can imagine it would be quite hairy driving this around the city. Occupants would be so low to the ground..and vulnerable. Imagine being behind a Hummer in traffic?